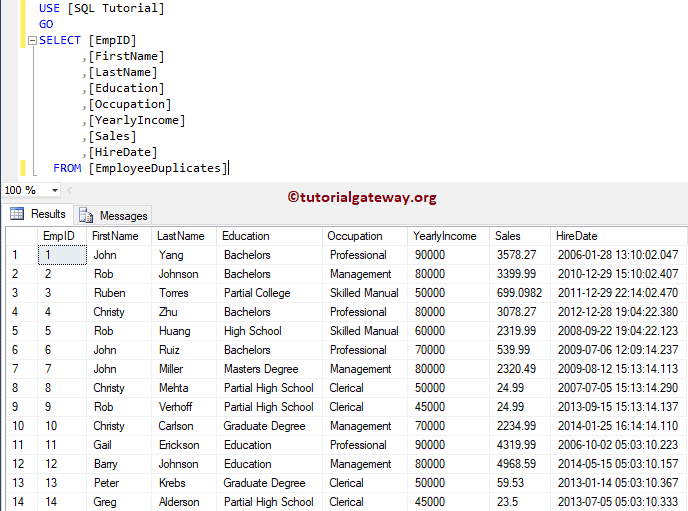 In this article we will show you, How to use Input Parameters in SQL Stored Procedure , Or How to use Input Parameters in Select, Insert, and Update Stored Procedures with example. 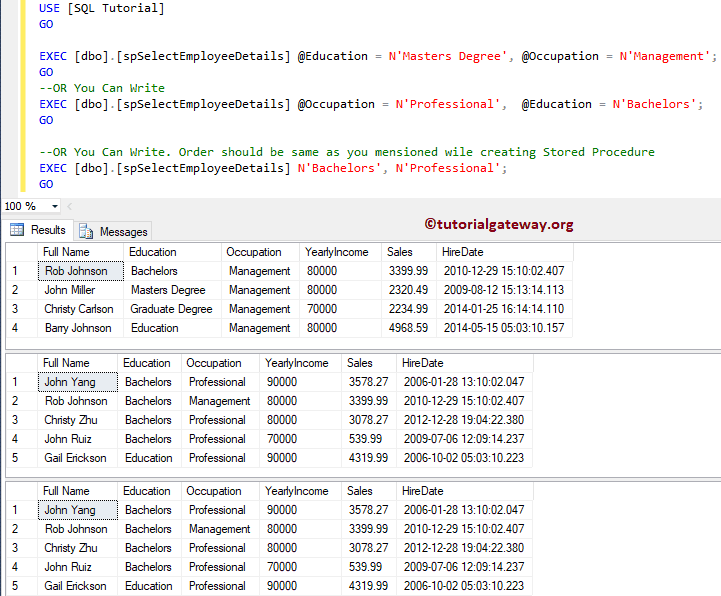 In this example we will show you, How to use the Input Parameters in Select Stored procedures. 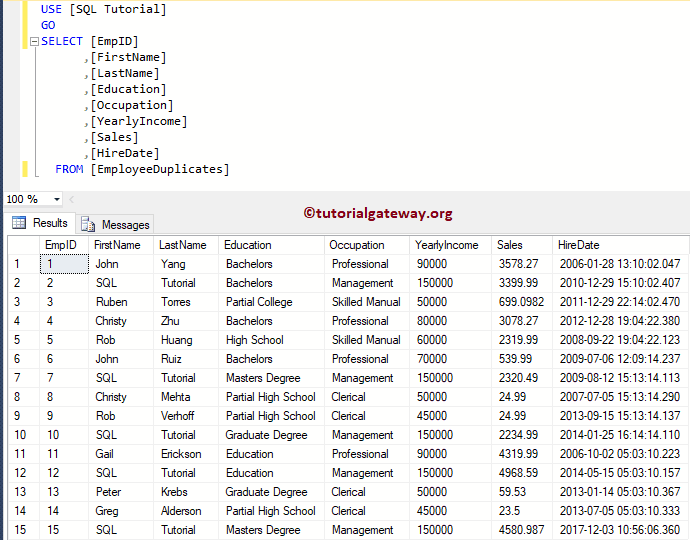 Please refer Select Stored Procedure in SQL article to understand, How to write Select statement inside a stored procedure. In this example, we will use the Multiple Input parameters along with the Select statement inside a stored procedure. 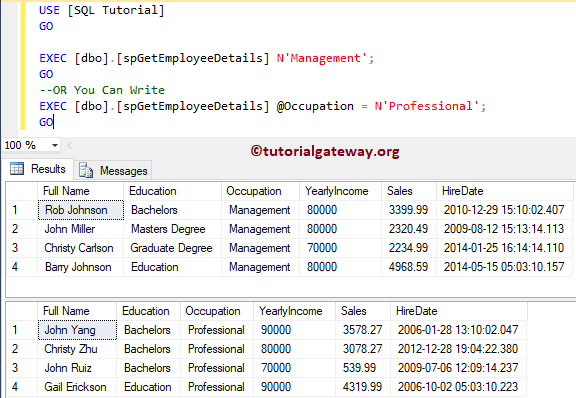 In this example we will show you, How to use the Input Parameters in Insert Stored procedures. 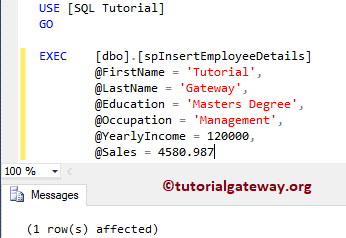 Please refer Insert Stored Procedure in SQL article to understand, How to write Insert Statement inside a stored procedure. Let me execute the stored procedure. Here you can avoid the parameter names but you have to provide parameter values in the same order that you specified while creating procedure. Let me show you the table. In this example we will show you, How to use the Input Parameters in Update Stored procedures. 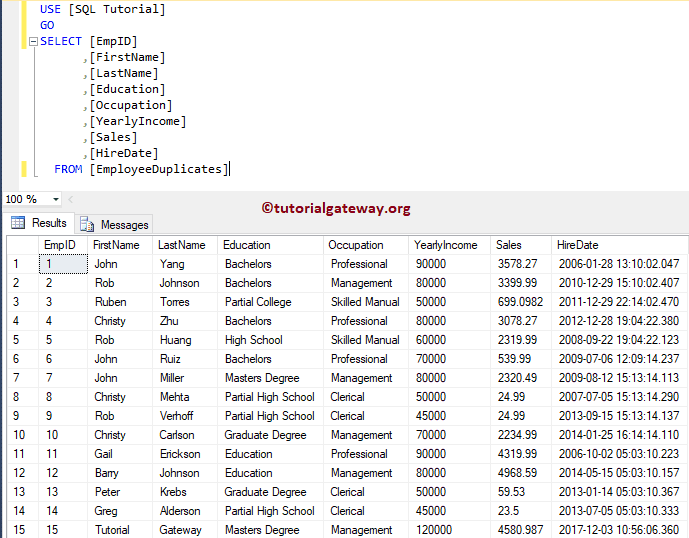 Please refer Update Stored Procedure in SQL article to understand, How to write Update Statement inside a stored procedure.